What do you do when you might be deported back to a country that wants you dead? That’s the problem many Afro-Mauritanian immigrants face now, due to increased attention by ICE and a complex relationship with the Mauritanian regime back home. Ann McDougall wrote a piece for Africa is a Country to correct some assumptions. Mauritania is known to the world as one of the few countries that still practice slavery. Technically, the practice has been illegal since 1981. Abolitionists like Biram Dah Abeid are routinely imprisoned at home while receiving awards abroad. A few bidani Moor friends describe abolitionists as highlighting a situation that doesn’t actually exist. But the immigrants in Ohio and Kentucky weren’t fleeing slavery. They escaped an ethnic cleansing perpetrated during a border war between Mauritania and Senegal a generation ago. The Mauritanian regime interrogated, imprisoned, killed, raped, and expelled Afro-Mauritanians en masse who lived near the river into Senegal to make way for bidani Moor land speculators during the late 80s. These were some dark times. The fall-out from these initial évenements continued through the end of 1991; thousands more were detained and tortured. At least 500 mysteriously disappeared in the process. On National Independence Day, (November 28) in 1991, 28 African (Halpulaar) Mauritanian soldiers were publicly, symbolically hanged outside the northern town of Inal where they had been imprisoned. The “Martyrs of Inal” are still remembered—both in Mauritania and in Ohio. 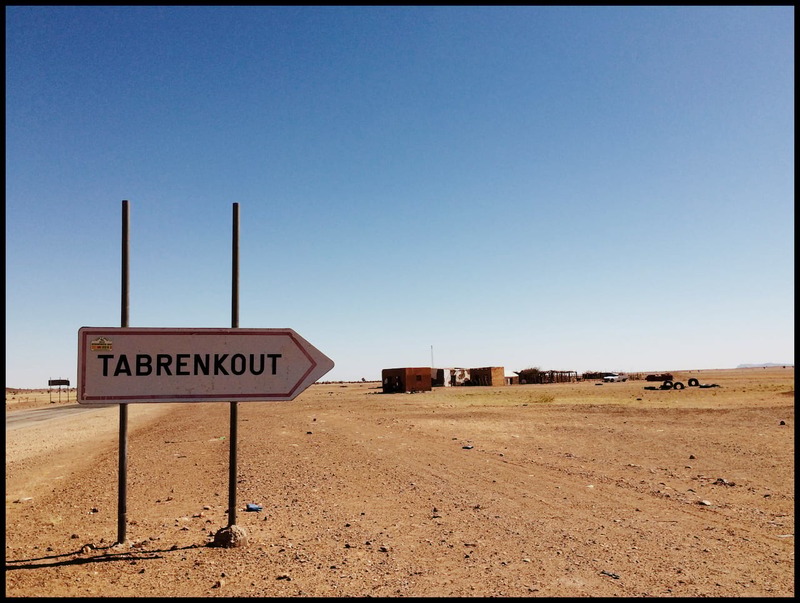 McDougall gives a few reasons why forcing Afro-Mauritanians back home will put them in danger. Either the Trump administration doesn’t listen enough to experts and could not actually know the intricacies of their plight or they just don’t care. It is worrying either way. She also references Franklin Foer in The Atlantic in a bigger article about a reinvigorated ICE under President Trump. ICE has been in the news a lot lately. But I found this anecdote particularly heartbreaking to such a small and insular expatriate community and one often overlooked in Immigrant America. When [the Afro-Mauritanian refugees from Senegal] had arrived in New York, many of them had paid an English-speaking compatriot to fill out their application for asylum. But instead of recording their individual stories in specific detail, the man simply cut and pasted together generic narratives. (It is not uncommon for new arrivals to the United States, desperate and naive, to fall prey to such scams.) A year or two after the refugees arrived in the country, judges reviewed their cases and, noticing the suspicious repetitions, accused a number of them of fraud and ordered them deported. But those deportation orders never amounted to more than paper pronouncements. Where would Immigration and Customs Enforcement even send them? The Mauritanian government had erased the refugees from its databases and refused to issue them travel documents. It had no interest in taking back the villagers it had so violently removed. So ICE let their cases slide. Now, the the United States under Trump wants nothing more than to rid the country of anyone who came here desperately seeking shelter. A friend in Nouakchott told me her brother was detained for two days by ICE in Ohio. The Mauritanian deportees will not be sent into slavery. But they will be made stateless—an internationally recognized crime. Update: I found the book Mauritania: The Other Apartheid? (PDF) by Garba Diallo from 1993. There is more information about FLAM, racism, and land rights.